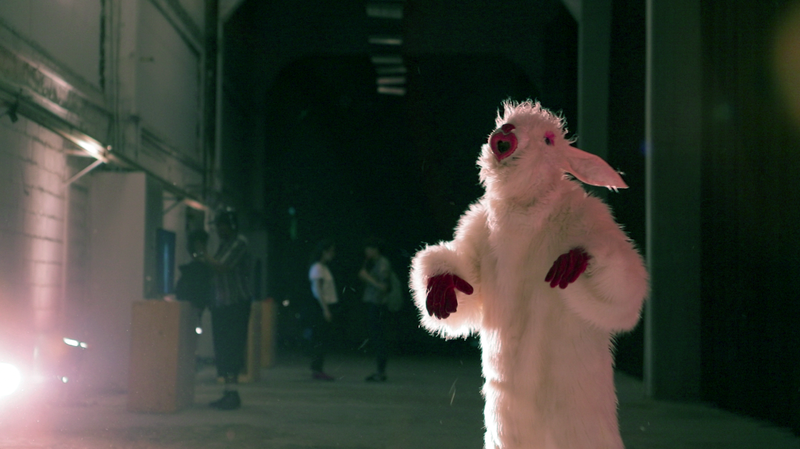 ​The work of Antigoni Tsagkaropoulou is situated somewhere between fantasy and reality, childhood and adulthood. 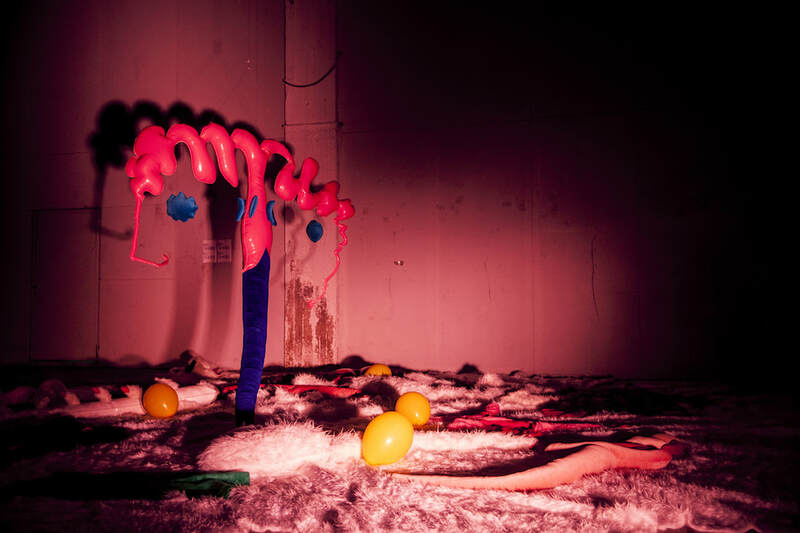 With strong influences from gender and queer studies she is trying to push the boundaries of the imagining of subjectivity, exploring sexuality, identification and interrelationship. 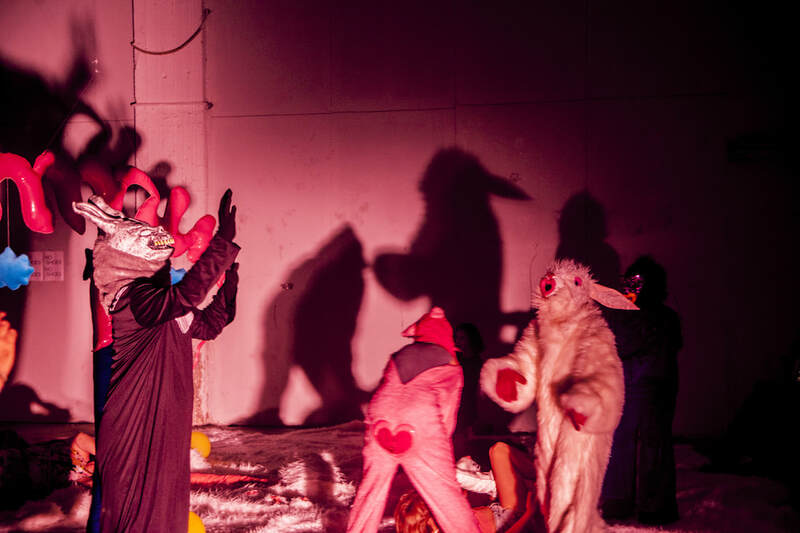 In Sound Acts, Antigoni restaged her interactive installation fluffyland, a playroom of the uncanny, where the audience is met with scary furry monsters as well as becoming them. This hybrid playroom could be a parody of social construction, a reconciliation with the abnormal. A bond between child and monster; it allows for crossing the divide between fantasy and human world and create alternative forms of being. All through the duration of SA2017, the audience interacted with the piece. 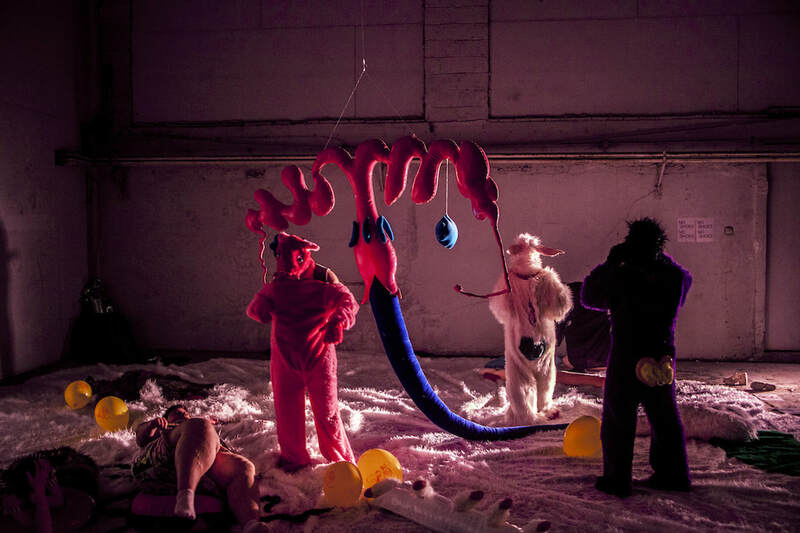 The installation also provided the backdrop for inteventions by Tritotetartes, Adult Baby Jesus, Nightmare Fuel etc.